Worked as a Professor of Neurosurgery from National Academy of Medical Science,Bir Hospital. 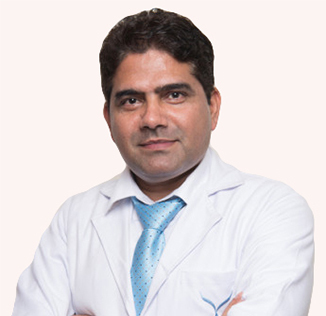 Medical professional,over 18 years of proven experience in surgical practices which involves diagnosis of patients andperformed more than 6000 surgeries in different field of Neurosurgery, Vascular,Tumor,Trauma,Pediatrics,Spine and Peripheral Nerves and Functional Neurosurgery. M.Ch. Neurosurgery from National Academy of Medical Science,Bir hospital,Kathmandu,Nepal. MS General Surgery National Academy of Medical Science,Bir hospital,Kathmandu,Nepal 2007. MD General Medicine Tver state Medical Academy,Tver,Russia 2000. Fellowship in Skull base and Functional Neurosurgery Medanta,The Medicity India 2011. WFNS fellowship in Neurosurgery from Tubingen University hospital,Tubingen Germany 2012. Fellowship of American Association of Neurological Surgeons from University of California,San Francisco,USA 2013. Winner of the Prestigious WFNS fellowship in Neurosurgery 2012. Crockard International fellowship Award 2013 by American Association of Neurological Surgeons in 2013. AASAN Ambassadorship Award in USA 2013.